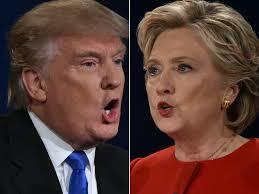 The US Presidential election is a contest between the consummate politician and the rabble rouser. Mr Trump seemed to have scant regard for the truth. He claimed the influx of Mexicans into the USA was bad, and yet statistics showed that Mexicans were far less likely to break the law in America than non-Mexicans. He claimed a wall was needed along the border to keep Mexicans out, but in reality more people were leaving the US to live in Mexico than were leaving Mexico to live in the US. On the other hand, Hilary Clinton was a competent, moderate politician, who believed that people holding extreme views needed to be controlled and that any political debate must be evidence-based. Mrs Clinton had an enviable track record during her 25 years in public service. She was a former First Lady, Senator, and Secretary of State. Original generation time 1.5456 seconds. Cache Loaded in: 0.1977 seconds.